Warning: contains spoilers for the single player game. 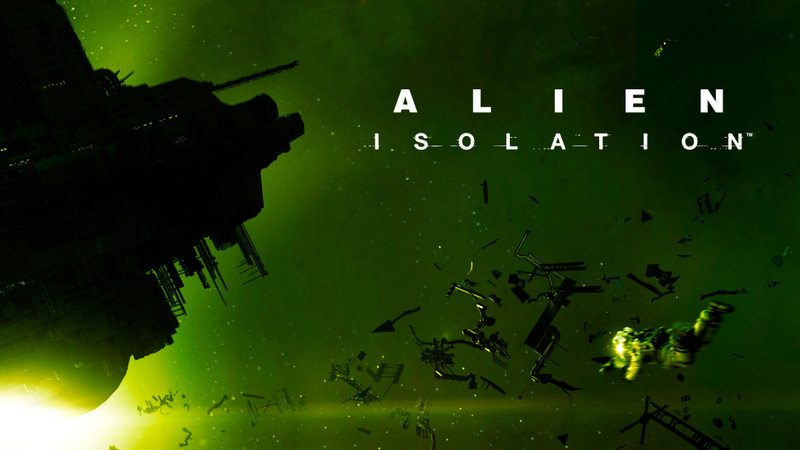 Six months after its release it can be unreservedly said that Alien: Isolation has definitely left a very positive mark on the series at large: not only was it very well received by the gaming press and various award ceremonies, but more importantly it was lauded by a fanbase that has become increasingly jaded and skeptical following years (some would say decades) of disappointment. 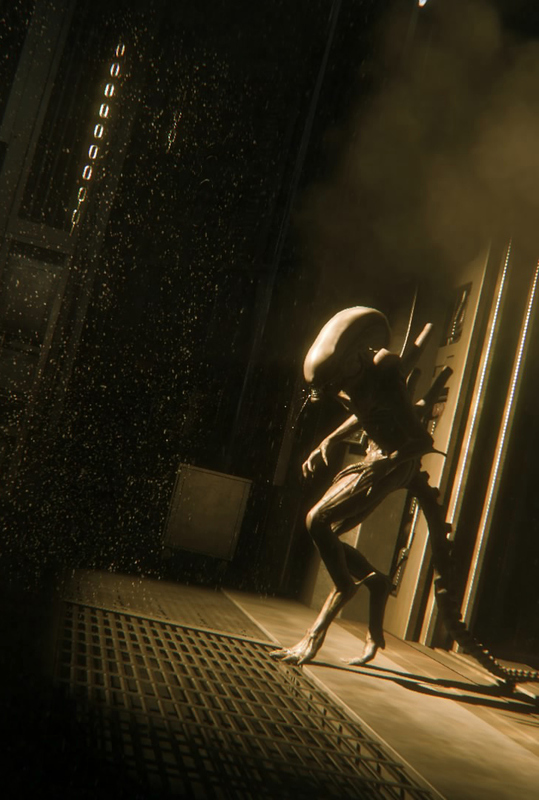 Thankfully, Alien: Isolation is, as we pointed out in our Thoughts on Alien: Isolation article, an invigorating and encouraging experience that recaptures the claustrophobia and fear of the original film and renews faith (or at least, my faith) in the franchise’s longterm prospects. Luckily, developers The Creative Assembly were kind enough to put Strange Shapes into contact with Isolation writers Dion Lay and Will Porter, who were likewise very generous in giving me their time during a very busy period for the team. Strange Shapes: Alien is often considered a simple monster-on-a-ship story but there are deeper themes and subtleties going on that other film, comic and game writers have struggled with. Was there a learning curve when writing for a property like this as opposed to other projects that you have worked on, or any trepidation that you might make the same mistakes? Dion Lay: Fortunately for us, when we started writing the game we already had a very strong vision and identity to adhere to. The foundation was the first Alien film and so that was always used as the acid test – would this character/plot point feel at odds with the film? Working with an established license does introduce some restrictions, but at the same time it also means you start off with a lot of well-loved material to mine from and build upon. I think there’s always a struggle to come up with something new while not stepping too far outside the source material and the trick is deciding where you want the final product to sit along that line and then aiming for it. Will Porter: In terms of backstory and world-building the original Alien never plays its entire hand, whereas modern movies generally feel compelled to spell out absolutely everything (often poorly) to cater for some unknowable lowest common denominator punter who’s somehow found their way to the multiplex. 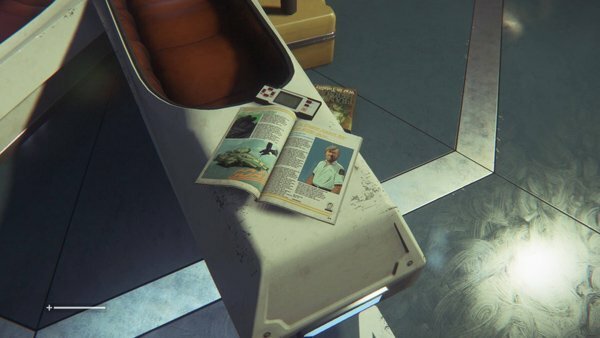 Games can be like that too, and I think that – as in Alien – with world-building in Alien: Isolation we left a lot of details about Sevastopol, Seegson and Weyland-Yutani hanging for much of the game. The intrigue comes when the player is encouraged to imagine what life used to be like on Sevastopol, and what happened to it. It’s been many years since I was first introduced to the Alien universe, and I still find myself wondering about the Nostromo crew’s previous missions, their former Science Officer, Ash’s past experiences and the origins of Special Order 937. As such I think the learning curve, albeit one we adapted too quite quickly as it was so fun to do, was to give the player just enough information about Sevastopol to get their mind whirring and then to fill in the blanks themselves. SS: Amanda Ripley is familiar to fans, as an entity if not a character. Were there any concerns that foreknowledge of her ultimate (and relatively cosy) fate would hamper the outcome of your story in any way? DL: I think we made a good case that the only information the audience knew about Amanda Ripley prior to this was from Burke, who was proven to be a manipulative and very shady character within a very shady company, so any information he gave could easily be false or manufactured for his own ends. Whenever we mentioned this the response seemed to be positive so we weren’t particularly worried about it. The other thing it brings to mind is that there are a lot of stories where the audience knows the main character won’t really die but it doesn’t affect the tension of the stories at all. For example, we all know that Batman won’t die (okay, I know there have been exceptions as I’m a big comic geek) during his adventures but it’s still an exciting ride because his death means the player fails and that’s where the tension comes from. WP: I think knowing Amanda’s fate, or at least what Burke informs is her fate, is actually a huge bonus. Speaking as a fan, you suddenly start to ask questions – and, as shows like Lost will testify to, having questions is so much more fun than knowing answers. What happened to her? Why the silence? Who is the McClaren when it comes to the name she dies with: Amanda Ripley-McClaren? If fore-knowledge of a character’s death were to hamper story-telling, then history books would be pretty dull! It’s the connective tissue between events that provides the interesting stuff. SS: There are a lot of nice little touches in the game: snatches of Blade Runner-esque dialogue, origami unicorns, Kafka recitals, and even a purported visual reference to James Cameron – were things like these scripted and was there any sort of ode you would have liked to include that didn’t make the cut for any reason? DL: There’s actually not much that was cut because we were very wary of putting in references and Easter eggs in case they detracted from the world or broke the immersion. You need to take a step back and make sure what you’re putting isn’t just because you want your favorite thing in the game! When we did put references in we still wanted them to be relevant in some way, for example the Kafka book went in because it was metamorphosis and the game is full of transformations – from the Alien life cycle to the population changing from civilians to survivors who would take extreme actions they never considered just to stay alive. The only couple of things I can think of that were cut were from me, which was a bookshop called ‘Time Enough At Last’ which referenced the famous Twilight Zone episode and have the ‘Neversleep’ sleeping pills colored with red and green stripes in a reference to Freddy’s iconic jumper in Nightmare on Elm Street. In the end they didn’t really fit because I realized they were really just me trying to get some of my favorite horror stuff in! WP: Something of mine I loved, that was recorded and in the game, but was ultimately cut was the androids quoting snippets of Shakespeare as vocal exercises. We had all these amazing Shakespearean actors so I followed through with that and snuck various ominous and death-heavy lines into the recording sessions. Androids would say something along the lines of ‘Initiating Vocal Routines’ and then deliver a malevolently neutral couplet or two. SS: Refreshingly, no human in the game is straightforwardly malevolent. Everyone has their own reasons for doing what they do. How important was it for you to dispense with the black and white morality (specifically, the Company = evil) that is so prevalent in the other games and comics? DL: This was really important to us and was something we discussed very early in development. 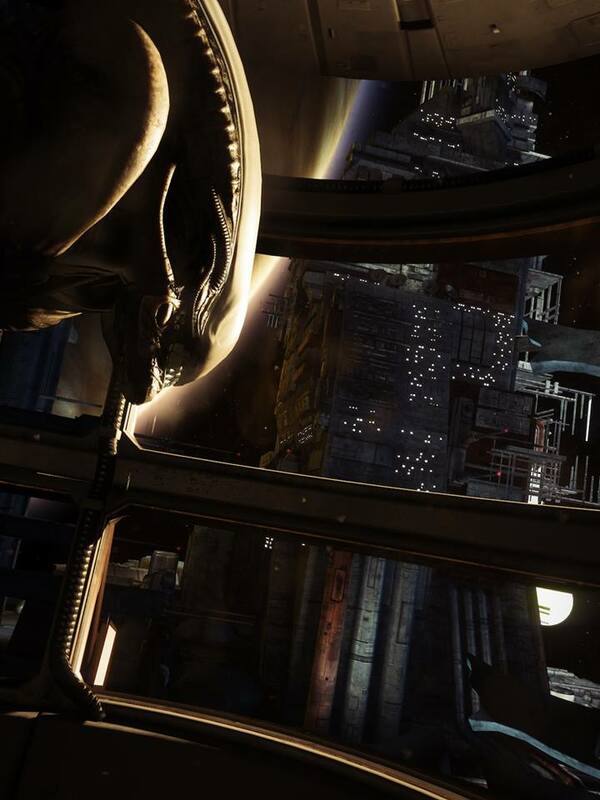 One reason was that we felt having human antagonists would reduce the Alien to a supporting player in its own game, whereas it was key that it needed to be the ultimate threat (on a side note, another thing we were careful to do was to never call it a ‘Xenomorph’ or ‘bug’ as naming it made it slightly more knowable and less terrifying). Instead, the humans were simply trying to survive and that actually gave us a lot of interesting things to play with. Some of them may have been more aggressive than others, some would simply follow someone else and make them make the hard decisions and others would retreat and hide. Waits was willing to sacrifice Amanda for the good of Sevastopol, whereas Ricardo helped her escape even though it meant the Alien got free again, but both of them were just doing what they thought was right even though they had very different consequences. WP: Yet another of the towering achievements of Alien was the way that the Company was so unknowable in their actions – not quite evil, just very distant and entirely dispassionate. They’re so big, one assumes, that morality has been lost in the post. I think fictional corporations that act like real corporations, losing humanity and the power of the individuals within through their size and internal wranglings, are far more interesting than straightforward ‘evil companies’ that you can never quite believe in. That’s why I’m so proud of Seegson and their history: there’s no maniacal laughing, just an also-ran company that no-one cares about slowly circling the drain. Likewise with WY, while we do pull a similar trick to that found in the original movie – there are good people who work for them, and there are good androids too. SS: The game plays a neat trick, in that you think there is one Alien at large when in fact there is an entire hive at play. This led to some turmoil at Creative Assembly on whether or not to include the Alien Queen. Were there other challenges in writing the script to fit the constraints of being an Alien game as opposed to an Aliens game (for example, multiple enemies working co-operatively to assault the player)? DL: In lieu of having multiple Aliens to escalate early on, we used the human encounters, Working Joes and the station itself to provide challenges as the player progressed, so I don’t think that specifically created many challenges for the writing team. I think the hardest part was trying to balance story dialogue with the fact that Amanda was on her own most of the time and really wanted to be silent because the Alien was hunting her. We had to pick our moments carefully with the level designers and make room for those parts where we needed some story information! WP: I guess the only real challenge was deciding which audio diary characters knew there were multiple aliens, and which thought there was only one. By the end it’s clear that the Sinclair and Winter’s characters, for example, know that there’s more than one threat up in the vents. One of the key things about Sevastopol is that what people know is patchy and haphazard, so I think it actually helps the overall feeling of the game that no-one quite knows what’s going on – or indeed where the creature(s) has come from. SS: Let’s speak hypothetically – if you were to work on a sequel, even in your head, what lessons from the first game did you learn that would inform how you proceeded with the second? Would you escalate things, or would you diverge from what you’ve already established, or simply refine it? DL: Sorry, we can’t comment on any of that! I would like to thank Dion and Will for giving time to answering my longwinded questions! And of course, I’d like to thank the kind folks at The Creative Assembly – I’m certainly looking forward to more incursions into the Alien: Isolation game world. So for the sequel: Newt’s Story on LV-426! Nice one Valanquen, Nice to see you back with a major article ( note I have had to skip bits cos I don’t own a XBOX and have not played the game, Gunna have to hijack my lads). Thank you 🙂 It plays pretty meanly on the PC if you can get that version. And herein lies one of the reasons the game was so good – a bunch of people that ‘get’ the property, and – very critically – asked themselves if what they were doing felt at odds with the DNA / raison d’etre. There are many cases of the apple falling far from the tree in the extended Alien universe, but this one felt a great deal closer to it that a lot of preceding material. My compliments to the creative team, and to Valaquen for another interesting article. Great interview/article. Such a great game. A:I was too tough for me. there was to much random dying that just couldn’t be strategized around. Not easily at least. Too much tethered invincible Alien dropping out of the ceiling behind you. If bullets and flame at least made the Alien retreat that would have helped. I know the flame thrower is supposed to make it retreat, but I used a trainer for unlimited flame and just kept on blasting the thing and it just hung there at the edge of the flame. But it had a lot of good ideas whether I think they were pulled off to their potential or not. So now that they’ve got the graphics engine all in place and dont have to spend time and money on that, its time for a huge leap forward in gameplay like they did between AVP1 and AVP2.